CrissCross Stitch vs Box Stitch? There seems to be some confusion on these two stitches-Are they really pretty much the same? Well, the simple answer is yes. However, there was enough of a difference that made us decide to give the new weaving process a new name. We didn’t want to go into any pattern done in Crisscross and change it suddenly, so we called the new procedure by a different name. 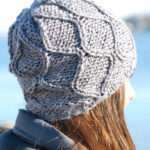 CrissCross Stitch -2 weave patterns. The first is starting on needle #4 and down to #3. Then the next row was starting on needle #3 and down to #2. 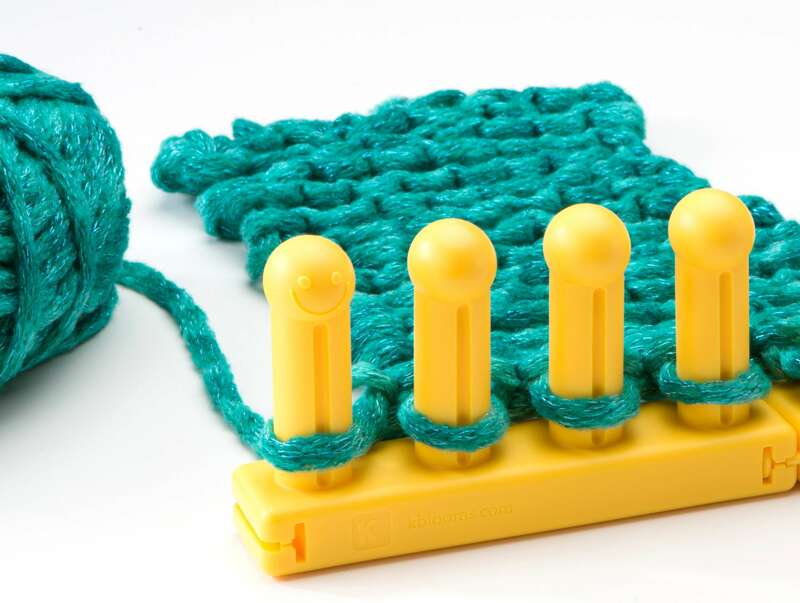 What this does is shift the yarn over to the next needles with the same angles. We received a lot of questions about how to keep track of which weave you completed and which weave was to be done next. Box Stitch – First row starts with needle #1 to #4 and weave every other needle. The next row starts with needle #1 to #3, then weave consecutive #2 down to #5 and then every other. This is easier to keep track of because both rows start out on needle #1. Both shift only 1 needle on both rows, but the Box stitch is a larger stretch from #1 to #4 compared to the crisscross which stretches from #4 to #3. 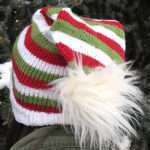 The difference is a more bold box effect from the box stitch than in the crisscross. So, not a lot of difference other than more definition in the depth of the look of the stitch and its a little easier to keep track of where you are. They are both great stitches and may not look too different. so, we figure everyone will pick the one that they enjoy doing the most and stick with it. They are certainly interchangeable in any pattern. Thanks–I had heard of this stitch, but wasn’t quite sure how to do it. Thank you for the extra explanation. Trying the boxstich,I thought what will happen when I do the first row (the 1-4 row)three times and after that the second row (the 1-3 row) three times and go on like that. There appears a complete new stich,I think it is usable for a scarf when you use not so heavy yarn. According to the DVD I got with my boards – it instructs to do the criss-cross starting at needle 1 down to 3, then next time needle 4 – it comes out nice – but not looking like the criss-cross – now I know it is the box stitch. I made a tote bag with it – turned out really nice – did not need to be lined. This stitch will be perfect for making placemats – nice and thick.